Strategic Healthcare Communications | 8x8, Inc.
Strategic healthcare communications are vital for the promotion of a healthier society. These strategies ensue via verbal and written channels or new media technologies. However, before implementing strategic communication, it's imperative to devise a strong strategic communication plan. Here's a closer look at what strategic communication entails and some methods used to execute it. The term strategic communication means to infuse an agenda with communications. The concept relates to the tactical use of social marketing methods and interventions to spread information on health education, medical campaigns, and information between patients and healthcare practitioners. The objective for propagating this information is to influence societal health decisions by creating awareness. These decisions could relate to disease prevention, the eschewing of unhealthy habits, and information on how to maintain health and longevity. Essentially, the strategies will ensure that your consumers are engaged more proactively in their health. Strategic communication is also beneficial for disseminating potentially life-saving information during health crises such as malaria, cholera, HIV/AIDS, or flu outbreaks. It may also bolster connectivity between you and your patients, and therefore promote a generally healthier society. Always first identify the health problem, and ascertain whether or not a communications strategy would solve it. Determine the correct target audience for your campaign and the most effective means of reaching them. Collaborate with representatives from your target audience to test your concepts and materials. Always design your campaign with the results of these tests in mind. Make changes to your strategy before implementation if your messages did not influence your audience properly. Public relations could include the use of press releases, public health service announcements, or press conferences. Healthcare organizations have also often used PR communications to manage health crises and damage control by educating the public. The distribution of health materials includes the development and dissemination of self-help guides and heath brochures. Historically, printed health materials have formed the backbone of health communications, but the advent of technology has since augmented it with audio and visual materials. Information and referral methods may include the transfer of information via verbal or written methods such as the use of hotlines or CCaaS services. 8x8 provides a great Cloud Contact Center which enables your patients to connect to the right person at the right time. Call resolution turnaround times can sometimes slow down if calls are escalated to the incorrect person, but 8x8 slashes this. The system also manages chat, web, voice, and email interactions. And as a healthcare practitioner, you'll be provided with the most recent patient information. Social health marketing includes the use of market research methods to promote public health. The healthcare sector also turns to media advocacy, which is the strategic utilization of various media channels such as newspapers, radio, and television to promote public health information. Advertising can also take place via these channels. Health sectors may also use media literacy as a strategic communication method. This is where the industry educates the public on various forms of media so they can comprehend health communications better. Social media is also now being used with the expansion of tele-health. Tele-health is fundamentally the integration of new media technologies with healthcare. It enables the use of virtual technology and telecommunications to provide healthcare services in remote locations. Are you often away from the office on emergencies and unable to consult with your regular patients? 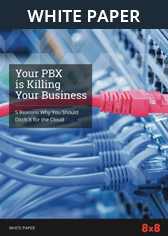 No worries, as 8x8 provides the best cloud-based UCaaS solution for continuous communications. Now you can use our web conferencing, voice and text messaging, and document sharing to converse with your patients remotely. You could also connect with your staff from anywhere, whenever you want. Strategic healthcare communications are an infusion of communication methods and a sound strategic communication plan, targeted at improving societal health. Planning is vital for the success of any communication campaign and must always be conducted before methods are implemented. Some of the methods are traditional, while others pertain to advertising, social marketing, and the use of new media technologies with social media and UCaaS and CCaaS services.